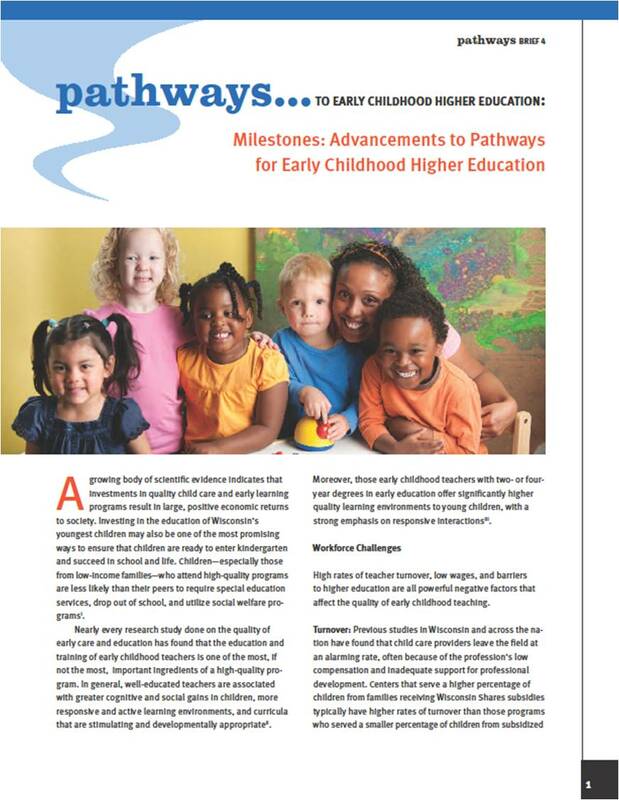 Research has found that the credit-based education of child care providers is an important factor linked with high-quality early education programs. Unfortunately, with high turnover, low compensation, and increasing higher education costs, it is difficult for the early education workforce to gain these credits. Recognize all the non-credit training and experience that early childhood providers already have! Read the full paper here and keep checking our blog to learn about the progress that WI technical colleges are making in terms of what credit for prior learning options they will offer to providers! This entry was posted in Uncategorized and tagged child care, child care and degree obtainment, credit for prior learning, Early Childhood Education, ECE Professionals, Wisconsin Council on Children and Families, Wisconsin Early Childhood Association, Wisconsin Technical Colleges. Bookmark the permalink.